Edgar Allan Poe is born in Boston to an actor and a singer under the name of Edgar Poe. The two were named Elizabeth Arnold Poe and David Poe, Jr. The Couple already had one son named Henry. Poe’s sister, Rosalie, is born. Shortly after her birth Poe’s father left Elizabeth leaving her with three kids to raise and soon she falls ill with tuberculosis. Living with the Allan wasn't that bad. He saw them as real parents and love Mrs. Allan. But when she got ill Poe and Mr. Allan hit a ruff patch and started to hate each other. Elizabeth dies of tuberculosis and days later so does David, leaving the children to be orphaned. Henry went to grandparents, Rosalie went to a family named Mackenzie, and Poe was taken in by a family with the name of Allen. Edgar and the Allans move to England where Edgar receives proper education. Here he receives knowledge of math, English, and French. After five years of taking classes in England Poe is brought back to the states to Richmond, Virginia. Here he continues his studies. In college, Poe took a passion in art and writing. It wasn't known at the time whether he would become a famous writer or a famous artist. The University of Virginia was filled with crime. There was an instant where a student who got his arm bitten fourteen time had to get the tissue removed because it was dead. Poe starts college, enrolling in the University of Virginia. This was mainly because Mrs. Allan was sick and dying so Mr. Allan wanted Edgar gone so he could be promiscuous. Poe leaves college because of massive debt and having no support from Mr. Allan. He move to Baltimore with relatives, cousin, Virginia, and aunt, Maria Clemm. Poe Enters the Army as a private and quickly rises in the ranks. He entered under the name Edgar A. Perry, this being the first time he used the name Allan. Poe enters the Military academy of West Point, excelling while under its structure. In this time he publishes his next book Al Aaraaf, Tamberlane, and Other Stories. Poe Leaves West Point by being court-marshaled and decides to pursue his dreams of becoming a writer. He published a couple of poems anonymously around this time but none where that popular. Henry dies of Tuberculosis becoming the third loved one to die of TB. Henry is not the last or most traumatic by far. Edgar gets a job working as a editor of the Southern Literary Messenger magazine. This being his first real job besides writing. He publishes critical reviews of others works and some small Poems. Poe was now 27 and Virginia was only 13 when they got married. This was peculiar not only because of the age but also because of her being his cousin. Still they were the happiest couple together. While living in Philadelphia now, he gets a job editing a newspaper called the Burton's Gentleman's Magazine. He keeps the job for almost a year. Poe takes a new job as editor of Graham's Magazine. This magazine publishes his short story Murders in the Rue Morgue a huge success and the first ever detective story. While singing at the piano She spits up blood, a sigh of TB. Edgar knew that this meant death for his wife. She would get worse over the years. Poe takes up giving lecturers to pay the bills and becomes very popular. Poe would normally give them to large audiences. Being southern he was accustom to entertaining. Poe, Wife, and step mother move to New York so that he may get a job at the New York Evening Mirror. The Raven brought so much success that Poe was able to become the owner of his own magazine; The Broadway Journal. This was a failure from the start but it was a dream of Poe's. Losing his wife sends Poe on a path of depression that causes him to drink and mope around. He even writes a poem to memorizes her called "Anna Lee"
After some time of morning and drinking Poe decides he needs a partner. He asked Sarah Helen Whitman to marry him, she agreed but only if he gave up drinking. Poe decided to pursue other options. Poe convinces Elmira Royster Shelton, his childhood sweet heart, to marry him. He even joins a Group to help him with his alcohol dependence. Sadly he does not rid him self of the addiction and he then goes to Baltimore to meet his demise. After being found in a gutter with someone else's clothes on, Poe is taken to a near by hospital. 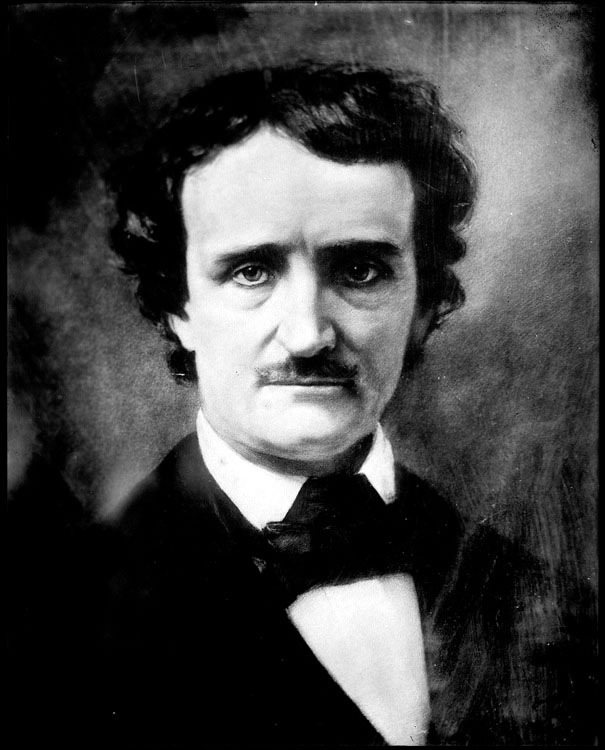 Edgar Allan Poe dies in the hospital of unknown causes. Right before dying he said, "God help my poor soul." There is much mystery behind Edgar Allan Poe's death; one being that he was involved in some political voting scandal where they dress you as a different person and have you vote multiple times after drugging and poisoning them. Edgar writes his first known poem. This is his first instance of taking an interest in poetry. In school Poe was very competitive, he excelled in many sports and studies in an effort to stand above the rest. This is his first published book of poems. This is the longest poem that Edgar has ever written and it is based on stories from the Qur'an. It tells of the afterlife in the place called Al Aaraaf. Poe had used this poem in later years to trick a group who thought that good art was made currently and not in the past. 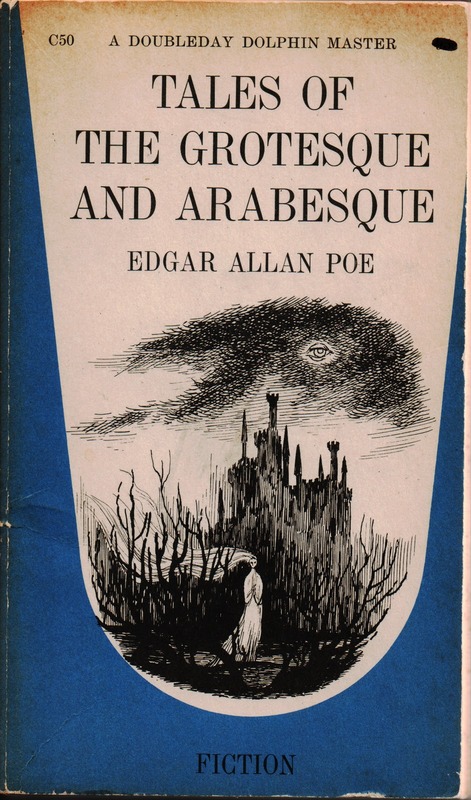 This was Poe's first and only complete novel. The Theme in this book is the theme of his life and his other books, Death. This two volumed book contained one of his most successful stories, The Fall of The House of Usher. A story that still shakes the spines of its readers. This creates a new genre called a detective story. A story where the Main character uses reasoning to solve crimes that seemed impossible. 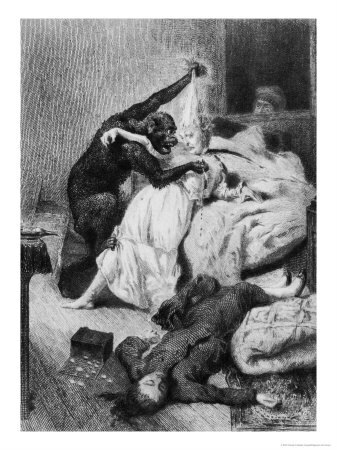 This story featured a monkey that murdered people with a straight razor. Poe trick tons of people with this fake article about a flying machine that crosses the Atlantic in six days. Thousands buy the paper and hundreds believed it.